My plan was to take off from work early, around 19z or so and head north to the warm front. I wasn’t too excited about the low level helicity values in the warm sector in Nebraska so decided the front was the best chance for tornadoes. I headed straight north on US 281 for South Dakota while keeping an eye on where development was occurring. 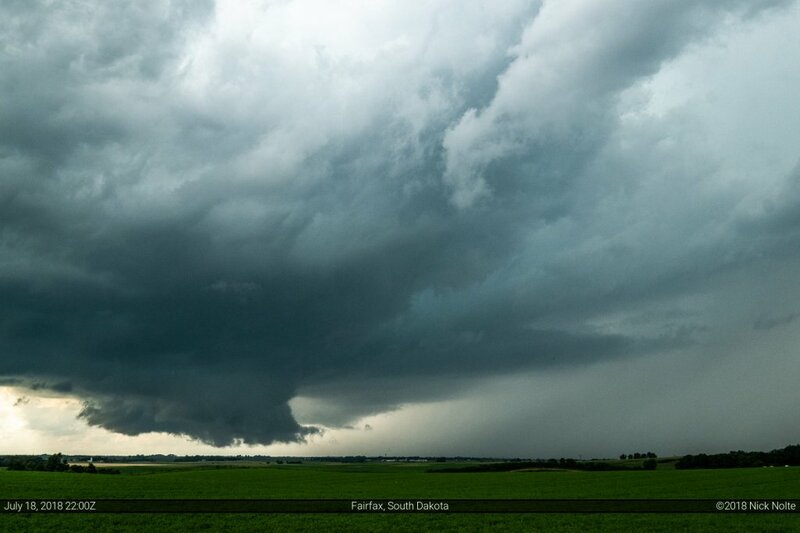 As I approached O’Neill the SPC issued a tornado watch for most of South Dakota into northern Nebraska. At the time there was a cluster of storms in southeast South Dakota and I figured I’d just head for that stuff. 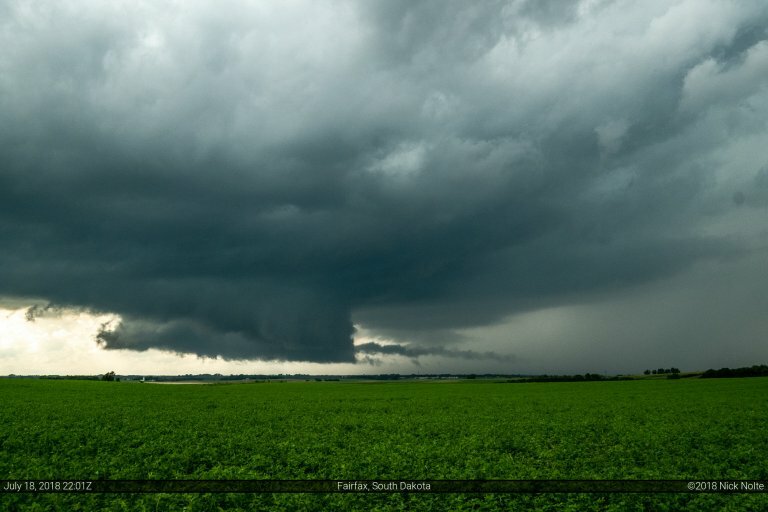 Once I crossed into South Dakota I had a choice to track the storms to the east or west. I was concerned about the eastern cluster that it would straddle the river and would make it difficult to keep up so I opted to head west on US 18 and intercept the storms coming from the west. Storm looked pretty good despite the meager presentation on radar. 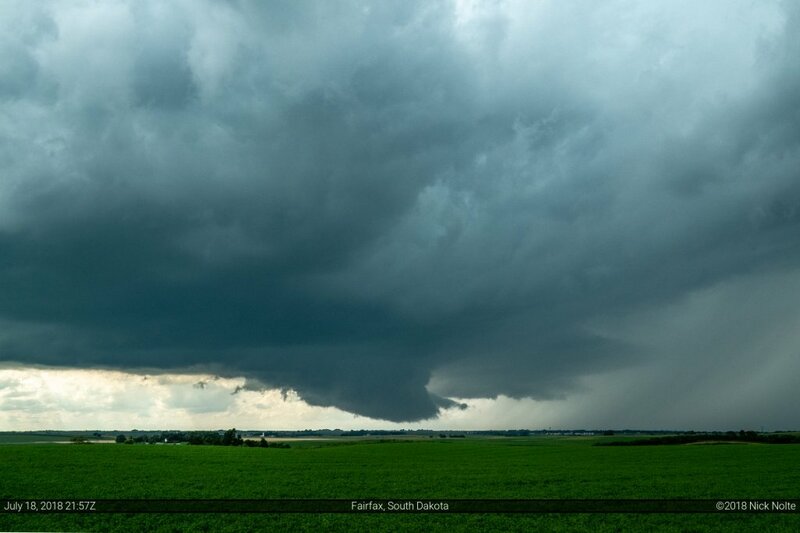 At various times it presented a very sharp wall cloud including some pretty substantial inflow tails. 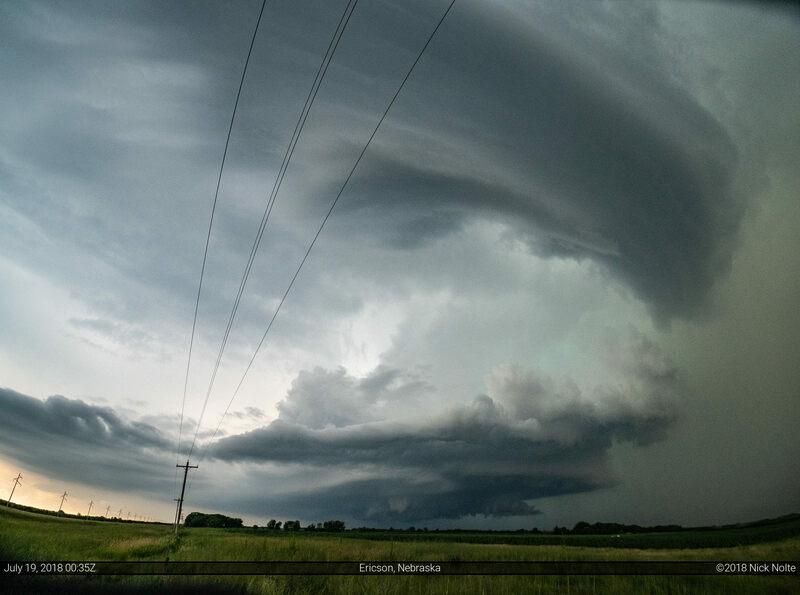 In the video towards the end of this entry you’ll be able to see the rotation present in the time lapse video. 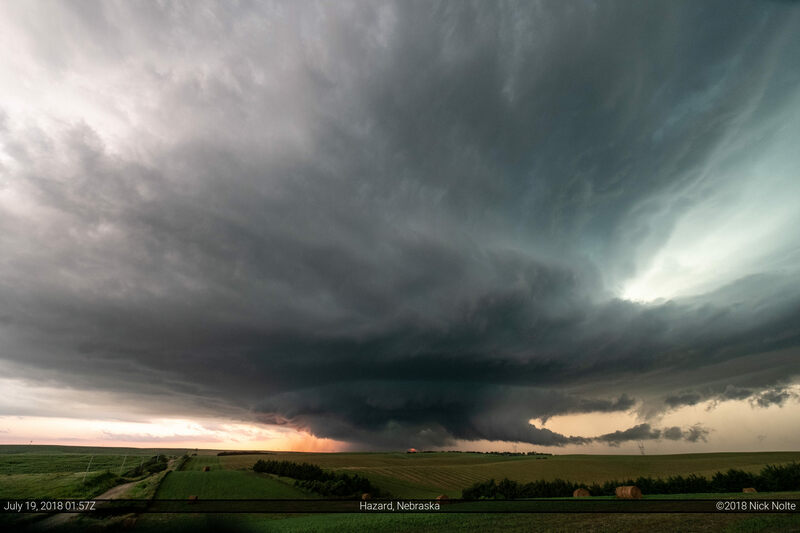 Eventually the storm started to wither away, so I decided to bail back south into Nebraska where other storms were underway to see if I could catch anything cool on the way back home. 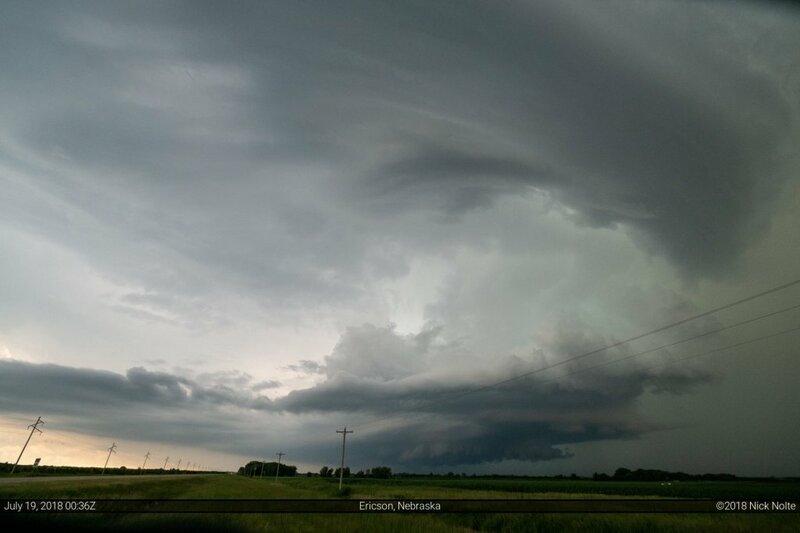 Near Burwell a rather nice looking supercell put on a decent structure show. 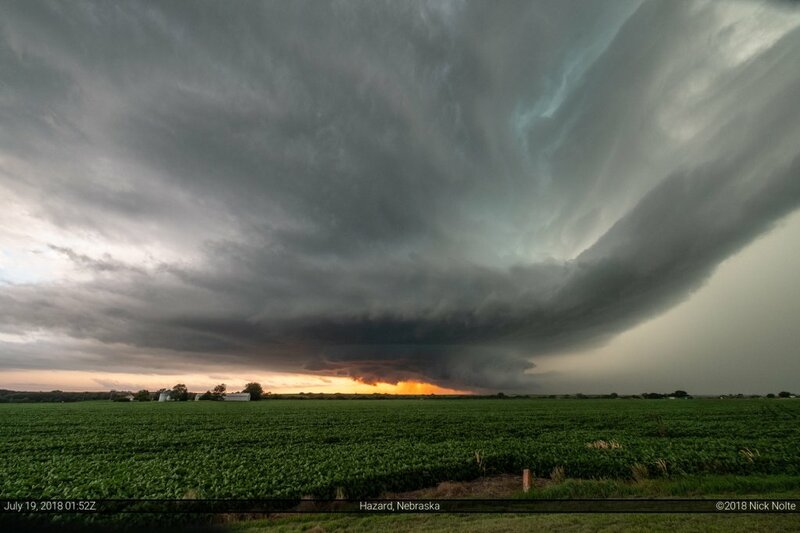 After leaving this cell behind I encountered another nice looking storm near Hazard that was throwing baseball sized hail around. This was of particular concern to me as I’d just replaced my windshield a few days earlier. The storm was positioned in front of the setting sun and provided a rather picturesque opportunity. Eventually it started to get pretty dark so I called the chase and began the trek back home. 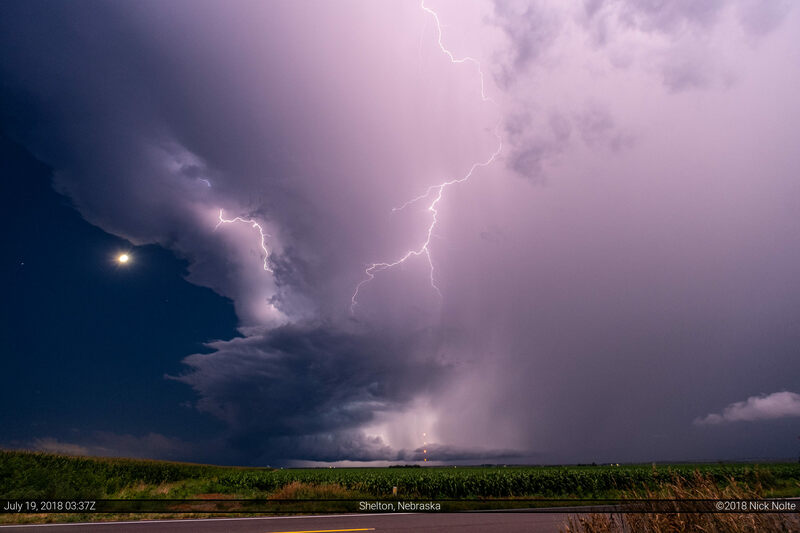 On the way home, however, an isolated supercell near Shelton presented another beautiful opportunity as it put on a rather impressive lightning show while clear skies with a full moon, Jupiter and Spica were visible to the west of it. I finally called it a chase after shooting the lightning for a while. All in all, this was a pretty awesome chase for an after work. Left work at 2pm and finished the chase at 11pm.